Park Towers announces 30% cash back vouchers on 1st and 2nd January, 2016. 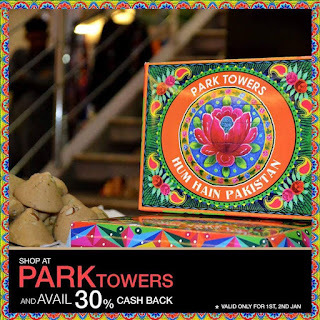 Park Towers, being one of the oldest malls in Karachi, is back in action with a bang to commemorate its anniversary with a themed event titled, “Pakistan Festival” and a 30% cash back discount voucher to all the customers on shopping from any outlet on January 1st & 2nd, 2016. Park Towers invites its shoppers to be a part of the anniversary celebration. The management has overhauled its ambience and architecture to give a new feel and finish to the premises. Moreover, they have also made arrangements for conducting Pakistan Festival that aims at highlighting and displaying different cultures and heritage from different provinces in Pakistan. 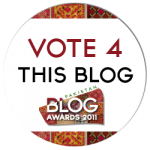 With a view to let people know more about the country in a better way, Pakistan Festival incorporates a wide variety of products including food items, clothing and various other items from different areas of Pakistan. Additionally, the management also offers discount in terms of 30% cash back vouchers on shopping at any of the outlets in the mall. Those shopping on January 1st & 2nd, 2016 will be entitled to get the discount, which can be availed at any outlet for future use. 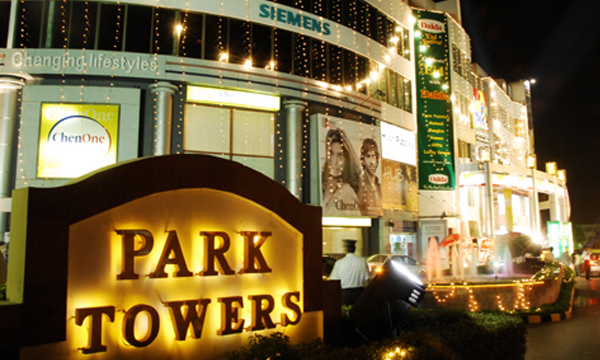 Park Towers believes in celebrating anniversary with its valuable customers that it has garnered over the years, and thus takes pride in serving them with the best environment and one of the best discounts in K-Town. Hurry! Hurry! And Shop Away!